The practice of urban foraging can help benefit you and your family during times of emergency. The truth is many of the weeds we might battle in our gardens and in our lawns are plants that are edible and nutritious. When emergencies occur, it is wise to know which plants you can utilize to supplement your families diet. Wild greens often contain far more actual nutritional value than things like lettuce or celery. Emergency situations can become harsh survival realities, and having knowledge of some of the wild plants in your area can be one of the life saving keys that help you and your family make it through. Even if you end up leaving your home during an emergency, you are still likely to run into these same plants just about anywhere you go. Urban foraging is a useful skill because suburban and even urban areas can have a surprising variety of wild greens to choose from in times of need. Below is a list of just some of the most common wild edibles found around the more urbanized parts of the USA. Included is a description of which parts are most commonly used as food. 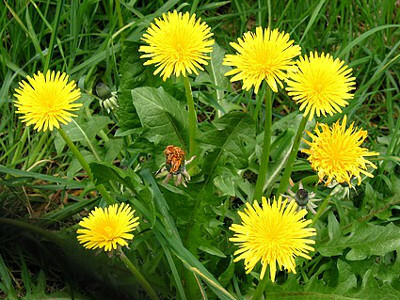 - Dandelion (Taraxacum officinale): young leaves, flowers, root crown, and root. See image at the top of page. - Purslane (Portulaca oleracea): leaves, buds, flowers and tips of young growing stems. - Amaranth (Amaranthus sp. ): young leaves, young shoots, ground seeds. - Lamb’s Quarters (Chenopodium album): leaves, growing leafy tips, and seeds. - Chickweed (Stellaria media): entire stems with flowers and leaves. 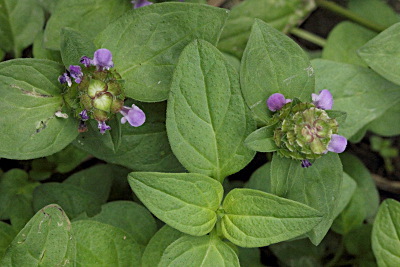 - Self Heal (Prunella vulgaris): flowers, leaves and stems. See image above. - Hairy Cat’s Ear (Hypochaeris radicata): leaves, buds, flowers, and flower stalks. - Common Plantain (Plantago major): young leaves, mature seeds. - Curly Dock (Rumex crispus): young leaves, leaf blades, and seeds. - Stinging Nettle (Urtica dioica): young shoots, and mature seeds. Great steamed or in soups. - Mallow (Malva neglecta): young leaves, flowers, seeds and green fruits. - Sheep Sorrel (Rumex acetosella): leaves. - Field Mustard (Brassica rapa): leaves, buds, flowers, and seeds. Seeds can be used as a spice. Learn to identify these plants properly before you decide to utilize them for food. A great starting point is our article on plant identification. 1. Don’t harvest from areas that use pesticides or herbicides. 2. Don’t gather near busy highways or other highly polluted areas. 3. Be careful when first trying these wild plants for the first time, as like any new food, it is good to be careful about potential allergies. Also, it is a good idea to try them, and even learn to use them in ways you enjoy eating before an emergency situation occurs. Janice Schofield's book, Discovering Wild Plants, has some excellent recipes. Making wild greens such as these a part of your families regular diet not only gets them familiar with the plants, but also gives all of you the healthy benefits of eating nutritionally rich foods. Make getting to know your green, weedy neighbors and practicing urban foraging as part of your emergency survival plan. Consider making room in your garden for these “weeds” and once you start eating them, you might even consider cultivating them along with other garden plants! 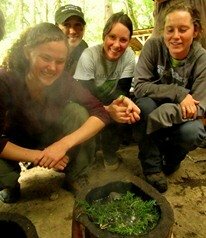 Check out this article about Urban Foraging in Seattle.